So, your shiny new Mountain Trike has arrived or you are thinking about purchasing a Mountain Trike. The freedom and independence means you can now access the park, travel to nature trails, woodlands, the beach – all very well if these are on your doorstep but a question we often get asked is, ‘how do I transport my Trike’? 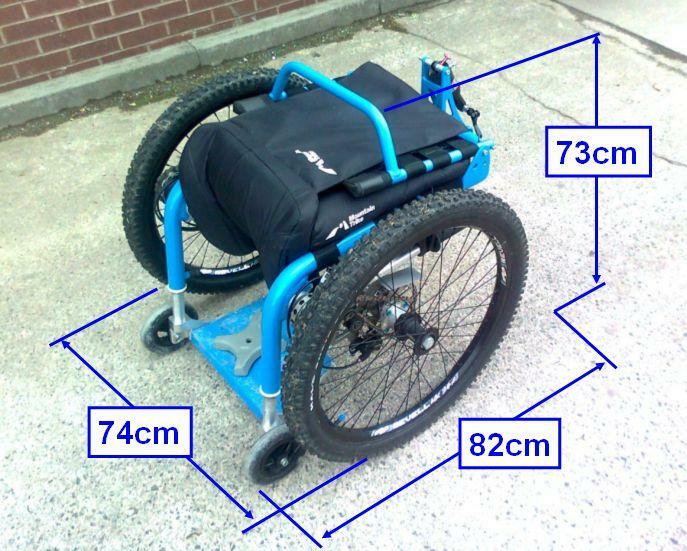 The Trike has been made with transportation in mind – its lightweight, weighing 20kg and can be folded down to a cube size of 28inches by 28inches (84 cms). It fits into the boot of a normal sized hatchback. Getting a light wheelchair into a car is easy for some people. If you have some strength and the right car and if you can lift and walk a little, you may be able to put the chair in the back of the car without any equipment. Start by contacting a Mobility Centre – some will have hoists and other equipment you can try before you buy and some also carry out assessments to see what kind of equipment may suit you. 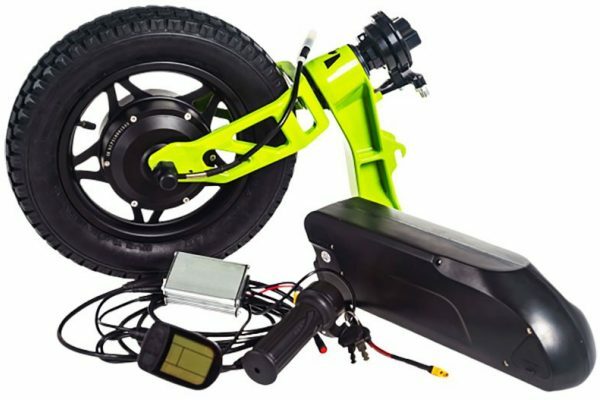 We have searched for practical transport options for the Trike and also some of our Trike customers have recommended and told us about what they use to transport their Trike. With these options you will need to be able to walk to your seat or have help. The bak-rak: a rugged tow bar mounted bike rack which sits on the outside back of the car. Once in its folded position the Trike sits perfectly on the rack. 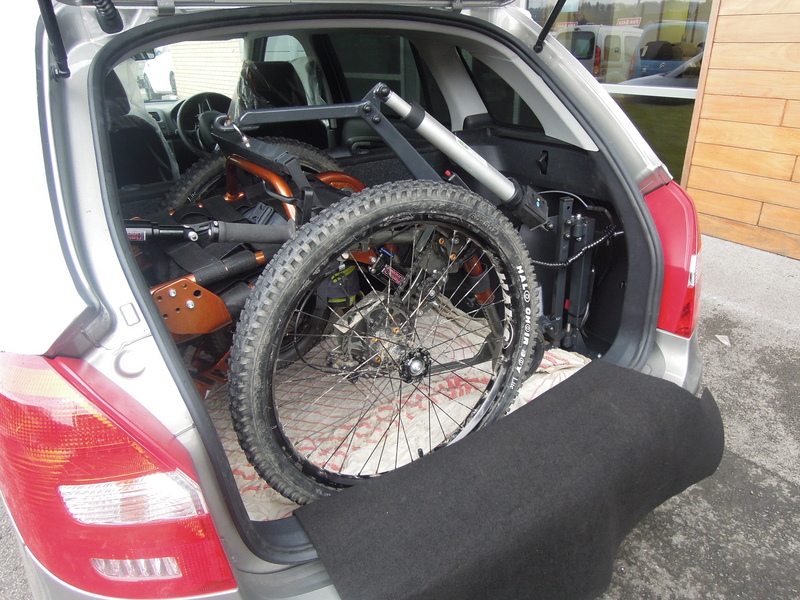 With your Trike on the bak-rak it allows space in the rest of the car for other essential items. For more information see their website here. Non-slip Telescopic Wheelchair Ramps: these wheelchair ramps are perfect for transportation purposes thanks to the telescoping design. The ramps feature a non-slip surface and an edge at each side of the ramp for added safety. 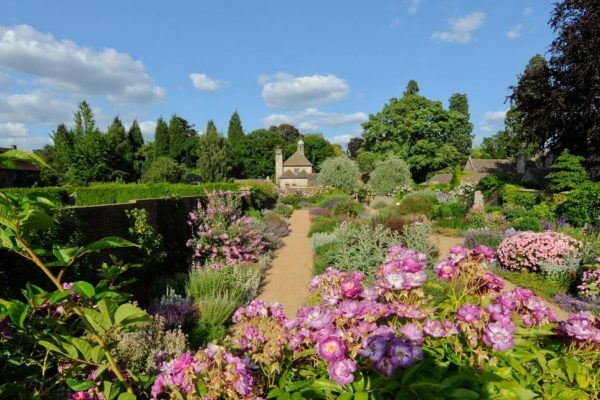 The easy-to-use, two section design has a simple locking feature which can be effortlessly retracted to half their length for storage or extended to full length when in use. Available in a variety of sizes and supplied as a pair. We’ve found this website which sells them, but do also shop around to find the best deal or chat to your local mobility centre. 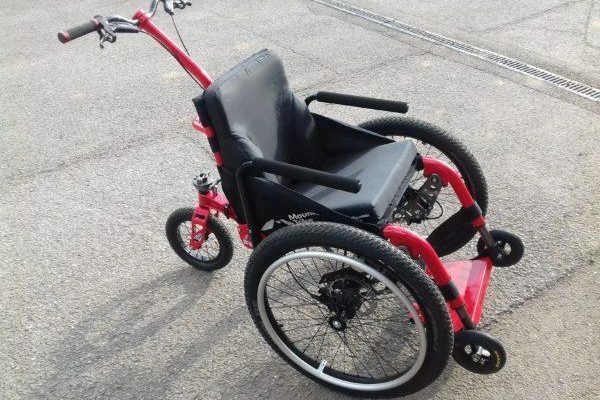 Wheelchair Hoists: One of our Mountain Trike customers had their wheelchair hoist supplied and fitted by Brook Miller who are based in West Yorkshire. They were recommended by Auto-Chair following a conversation at a mobility show and being told by other companies that a lightweight hoist wouldn’t be possible. 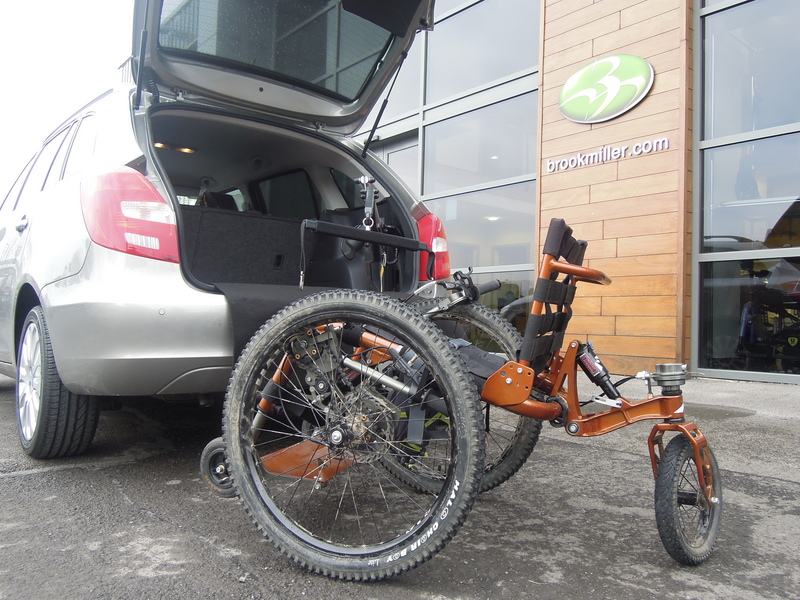 It was installed by Brook Miller when our customer ordered her new Motability car. Her car is a Skoda Fabia Estate automatic and the Trike fits into the boot without having to lower the back seats. 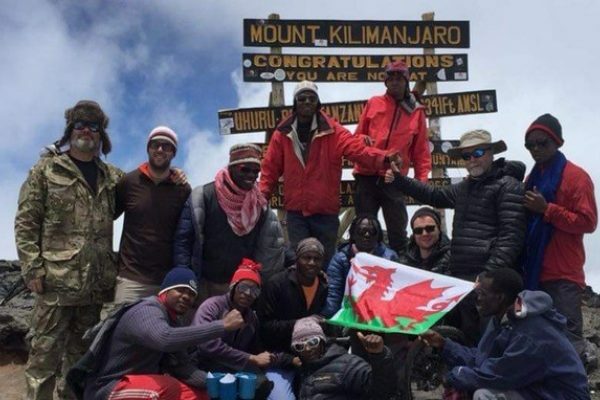 For more information see their website and get in touch to find out more detail. Mini Hoist: The 40kg mini-hoist is designed to lift manual wheelchairs and can be fitted to estates, MPVs and 4x4s. The hoist is powered directly from your vehicles battery and the hand controls are very easy to use. 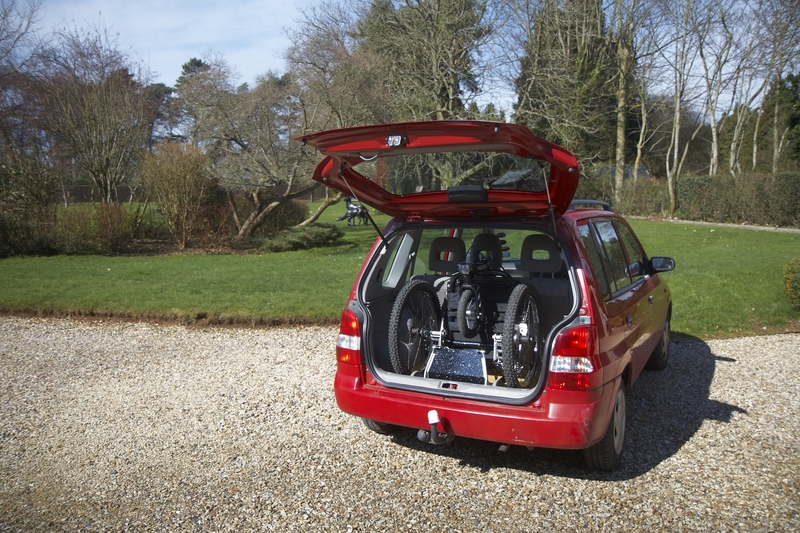 It’s available in 2 and 4 way powered option, the 2-way powered hoist raises and lowers the wheelchair then requires the user to manually manoeuvre the equipment in and out of the boot. The 4-way mini hoist option will electrically take your wheelchair in and out as well as up and down. 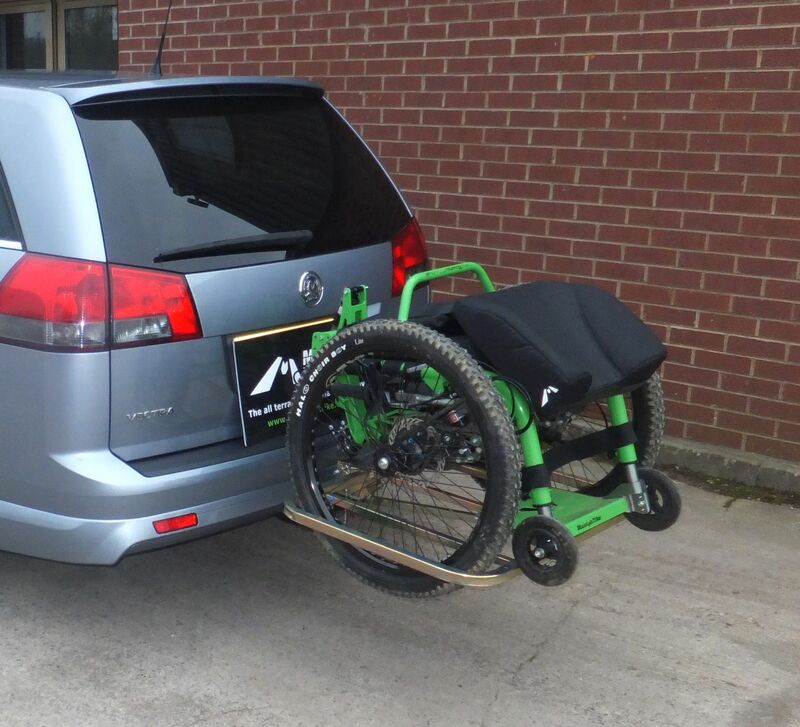 This is a great lightweight wheelchair hoist adaptable for most cars, more information available via the website here. 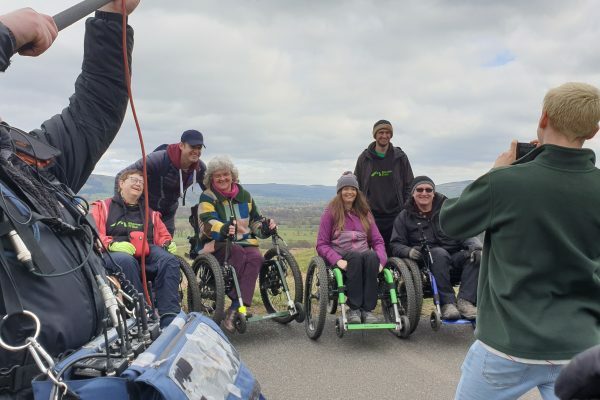 There are obviously a host of transport options for wheelchairs, but these are just a few recommendations that we have found or think would work well for the Mountain Trike. If you find a great way of transporting your Trike please let us know as we’re always looking for additional recommendations to share with our customers to help them explore and further their Mountain Trike adventures. Please contact us.